A must-have for the best wedding inspiration and resources in Paris. America’s love affair with Paris spans generations. For many, Paris is the epitome of sophistication, good taste, style and romance. 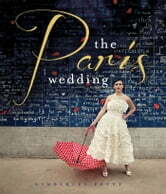 The Paris Wedding is a full-color, idea-packed, goto guide for globally minded trendsetters who are in love with the style and romance of Paris. 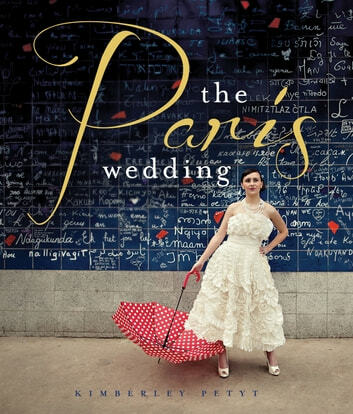 Not just a resource of practical information for those planning a wedding IN Paris, but The Paris Wedding is also a stand-alone handbook full of stylish tips and glamorous photography to help add that Parisian je ne sais quoi to any celebration. Kimberley Petyt is the owner of Parisian Events, a wedding and event-planning agency catering to English-speakers in Paris. She writes the popular blog “Parisian Party: Tales of an American Wedding Planner in Paris” (parisianevents.com/parisianparty/). She was also a monthly columnist for the nationally distributed The French Paper, where she wrote for more than a year about living and working as an expat in Paris. Petyt and the business have been featured in print publications such as Real Simple Weddings, Get Married Magazine, Essence Magazine, Eco-Beautiful Weddings, Cosmopolitan China, and France Magazine. Most recently, she was featured in the New York Times Magazine “Summer 2011 Travel” issue, highlighting her skills as a cultural liaison for brides seeking to marry in Paris. Ms. Petyt lives in Paris.